Reading to my kids is something that I still haven’t outgrown, even though they have. As my kids got older and started school, I couldn’t give up the reading time I shared with them. When they were small, I read a lot of illustrated children’s books to them. 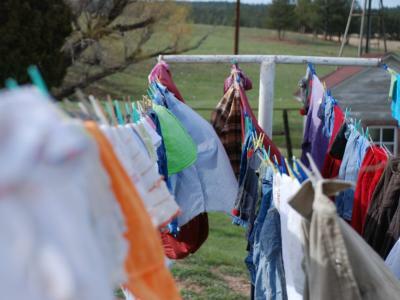 Once they learned to read and began reading books on their own, I graduated to reading them age-appropriate chapter books that interested them like the Laura Ingalls Wilder book series. I did a lot of family reading in the evenings when time allowed or Sunday nights but I also read to them in the mornings while they ate breakfast and got ready for school. Even though they could easily read the books themselves, I still enjoyed the excuse to have family time and reading to them. 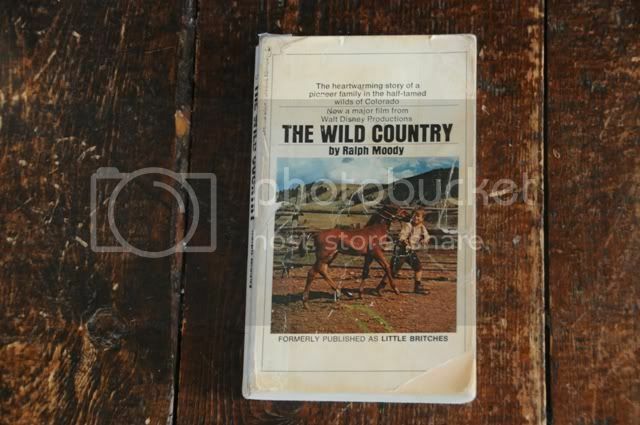 I recently finished the book The Wild Country (formerly published as Little Britches) by Ralph Moody. Walt Disney made a movie in the 70’s based on the book also. The rest of my family had already read it on their own and I was the last one to read it and kept thinking what an ideal family reading book it was. 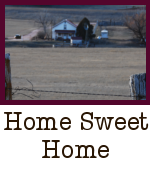 The book is similar to the Laura Ingalls Wilder stories and takes place in that era but it’s about an 8 year old boy and his family trying to make a go of it on a Colorado ranch and all of the adventures he has. 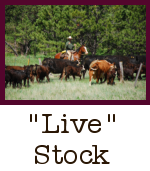 If you enjoy reading to your kids or grandkids, I highly recommend this book for family reading but it’s also just a great feel-good book for one’s own reading pleasure about ranch life in the early days. If you have never read chapter books to your kids or grandkids, I recommend starting this wonderful family tradition. A good book like this one draws the whole family together and once you start reading, everyone looks forward to hearing what’s going to happen next. I generally read a chapter a sitting to them. Once when I was gone for a week, I even tape recorded reading a chapter because my daughter liked our reading routine. Any of the Illustrated Classics books—they’re a condensed and revised editions of classic stories with pictures and are suited for elementary-aged kids’ reading interest. I’ve read many of these to my kids and they’ve also read many of them on their own for their school reading programs. The Golden Children’s Bible A Golden book of illustrated Bible stories. Written by Golden Books; edited by Joseph A. Grispino (it has wonderful illustrations). The Story of Jesus retold by Lloyd Edwin Smith (our copy was published in 1941 by WHITMAN PUBLISHING CO. Racine, Wisconson.) I read this one during Lenten season up to Easter). These are just a few suggestions but there are hundreds of other great stories that make excellent family reading. Electronic books are becoming hugely popular but I still find reading a good book to the family a worthwhile family tradition of quality family time. 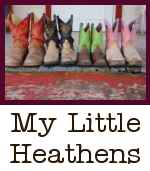 My mom read the Little Britches series to us! In fact, she was on the last book when I got married and left home. I need to get them. We’re also big Hank the Cowdog fans! I read to our kids when they were young and they still read for enjoyment as well as for knowledge. I usually have 2 or 3 books going myself. When my siblings and I were in grade school, grades K-8 in a one-room country school house, our teachers would read aloud to us after our lunch break. We heard some pretty good books. One that comes to mind is A Wrinkle in Time, by Madeline L’Engle, a book I’ve read as an adult, too. And of course the Little House on the Prairie books, which we have a set on our book shelves. The bookmobile came out from town every three weeks. Each of us could check out three books. By the time those three weeks were up, we’d usually read our own books and several of the other kids’. Good memories! 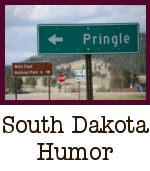 I am just getting caught up on my blog reading:) I didn’t realize you were from Pringle, SD. We have a ranch raised mustang gelding we got from by hot springs a couple years ago that came from Pringle. And his name……Pringle:) Small world. We are looking at moving back up to black hills area possibly. We loved it there and wish we had never left. Enjoy the blessings of that area:) Love reading your stuff. Thanks Mandie! I love storeis about connections with people and places! 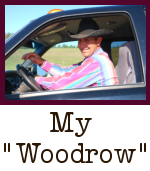 Thanks Deb for commenting–I enjoy reading how my post related to you and your stories about the topic. Thanks for sharing!